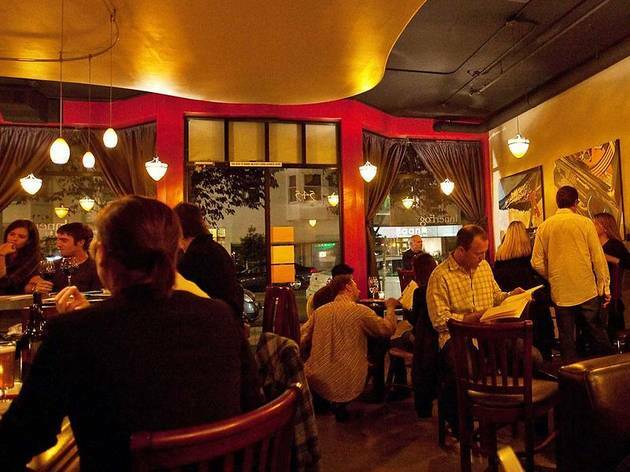 This Inner Sunset gem pours great wines by the glass without succumbing to the usual swirling, quaffing Wine Bar pretension. It’s ideal for catch-up drinks or casual dates, but you won’t feel uncomfortable just unwinding with a book or your laptop. Rather than some nondescript “house” blend, the Fog offers a happy hour selection (Mon–Sat 4–6pm, Sun 3–6pm) of around a dozen wines from California, France, Argentina and beyond, all helpfully listed from softest to most powerful. 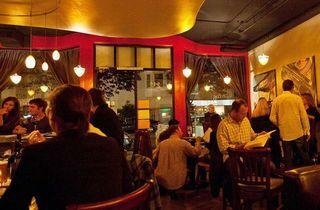 (The bartenders are eager to make recommendations, if you’re waffling.) Likewise, beers like Full Sail Brewing’s Session lager and the Deschutes Inversion IPA from Oregon are just $3.50 apiece.